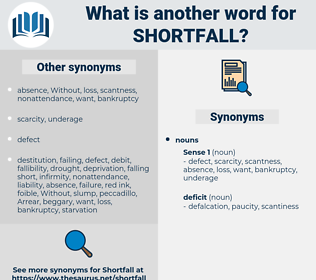 What is another word for shortfall? shortage, shortages, deficit, deficits, insufficiency. dive, difference, decline, imbalance, discrepancy, reduction, disparity, absence, diminution, variance, inability, limitation, disadvantage, backwardness, deficient, deviation, backlog. 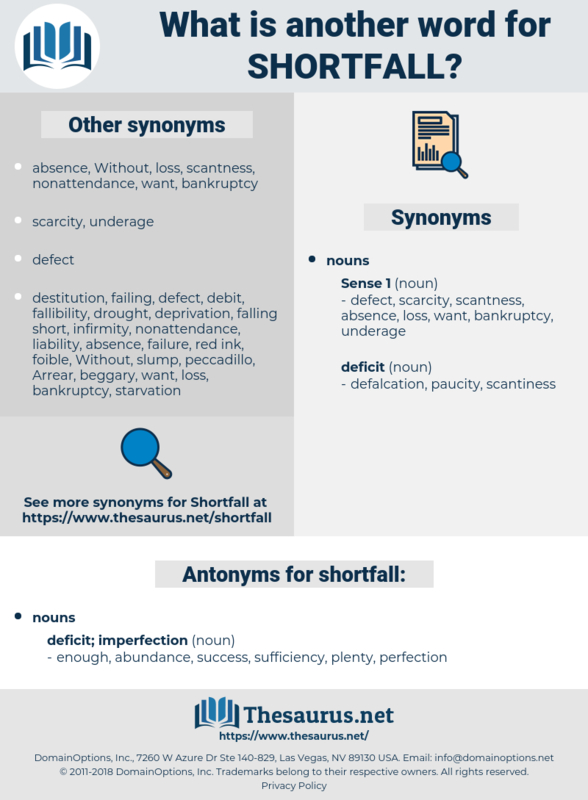 shortcoming, dearth, paucity, flaw, decrease, weakness, loophole, unavailability, defect, failing, deficiency, omission, scarcity, drop, lacuna, Lacunae, inadequacy. enough, abundance, success, sufficiency, plenty, perfection.